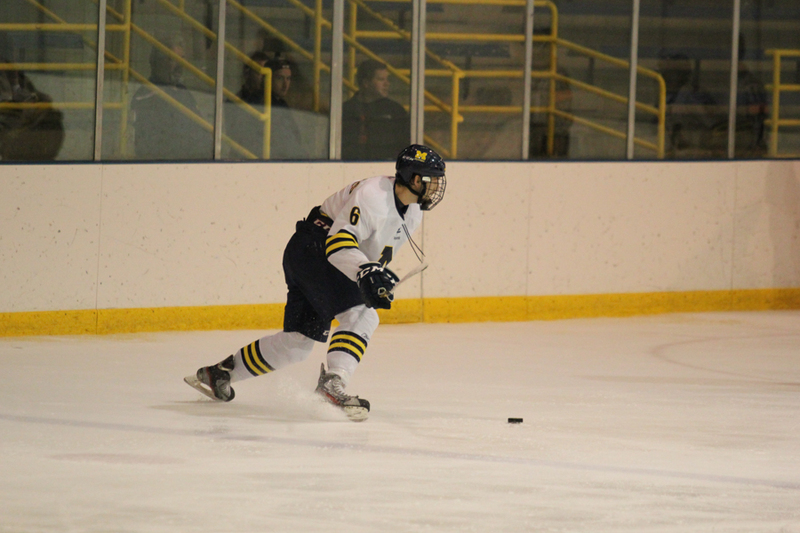 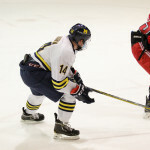 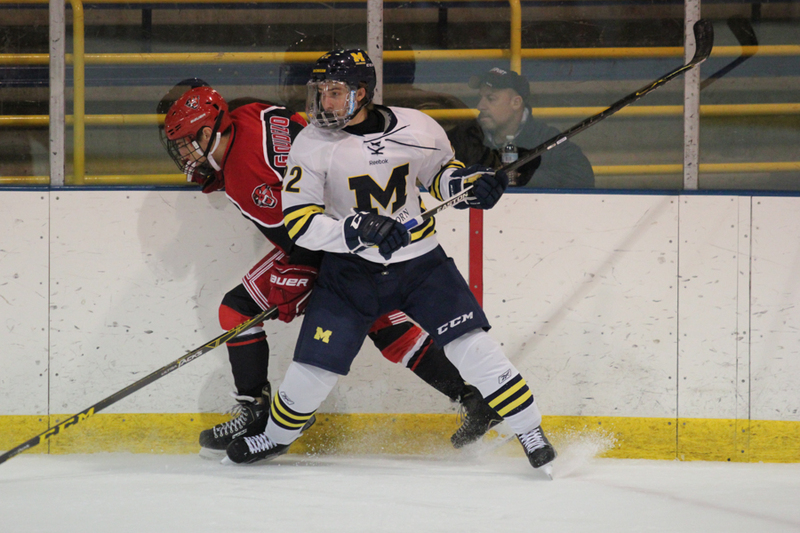 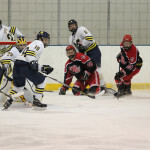 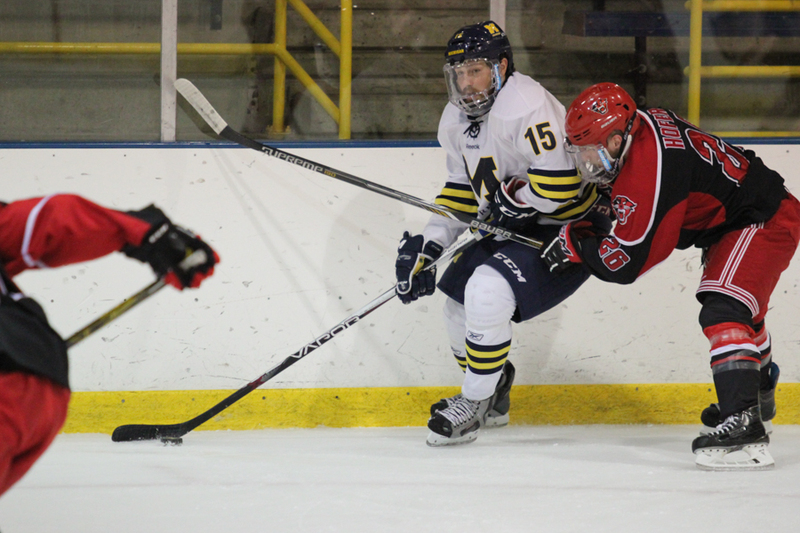 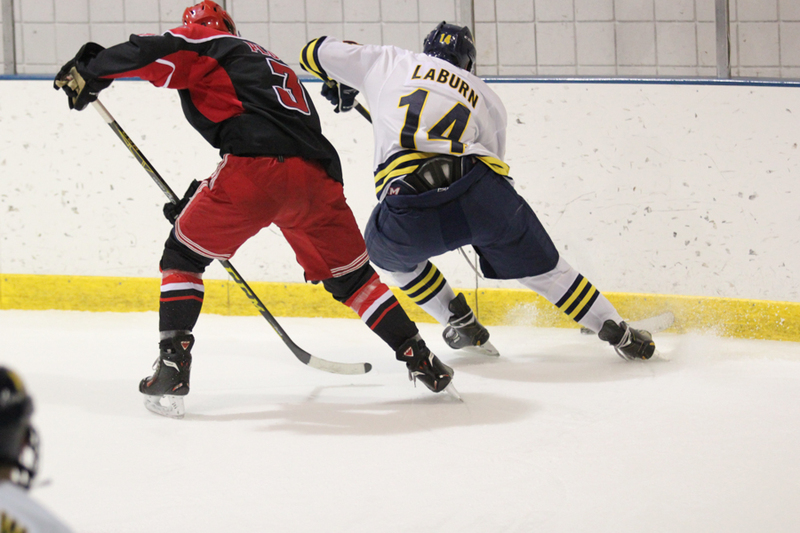 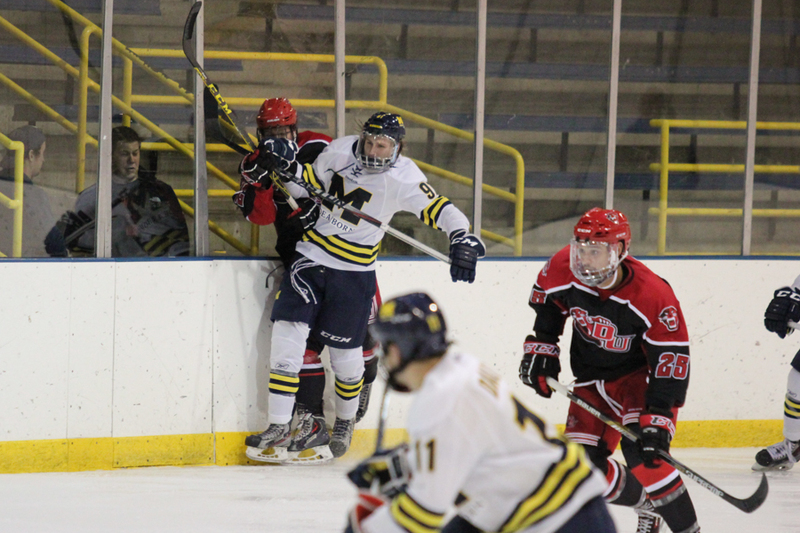 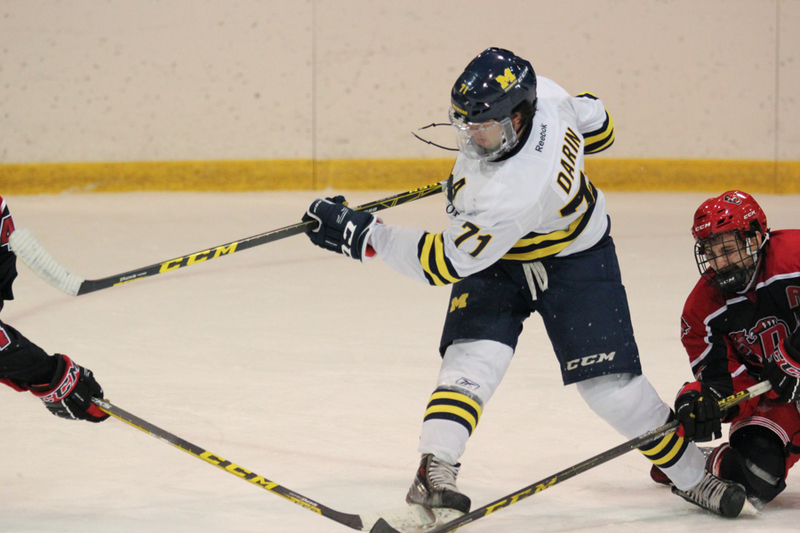 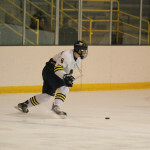 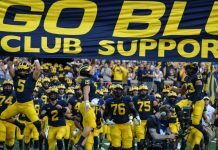 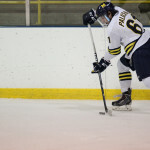 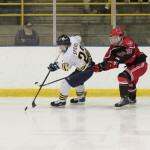 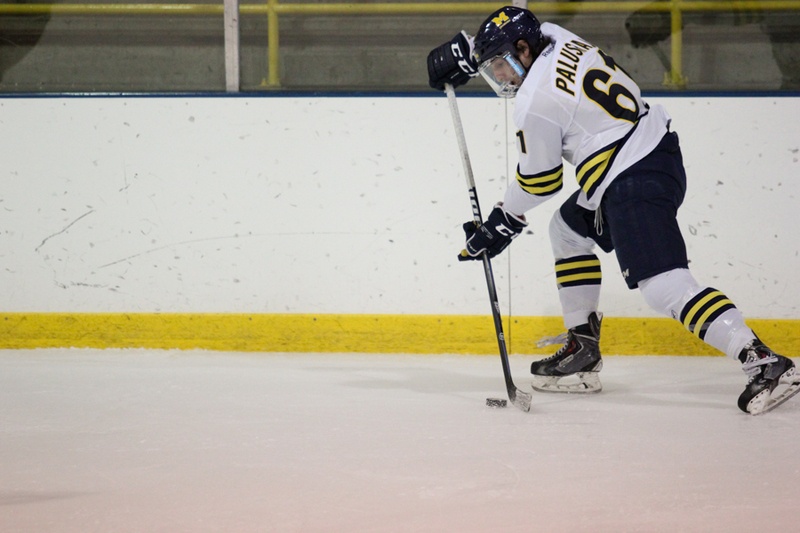 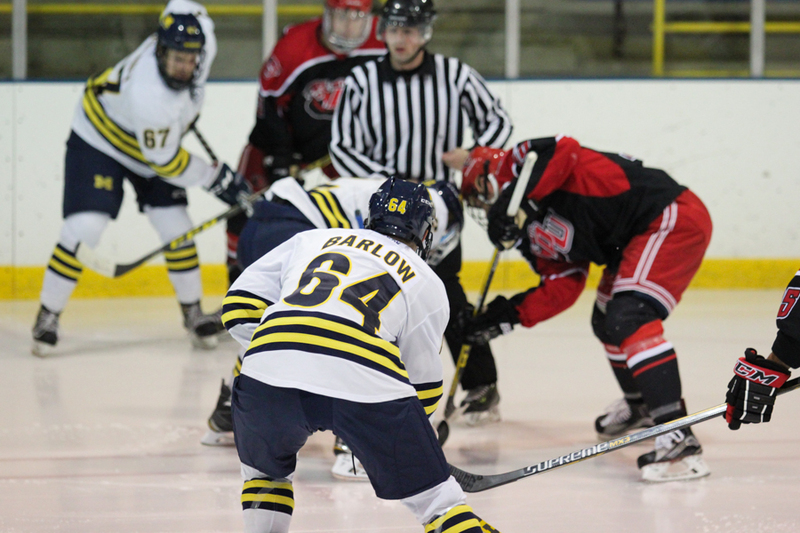 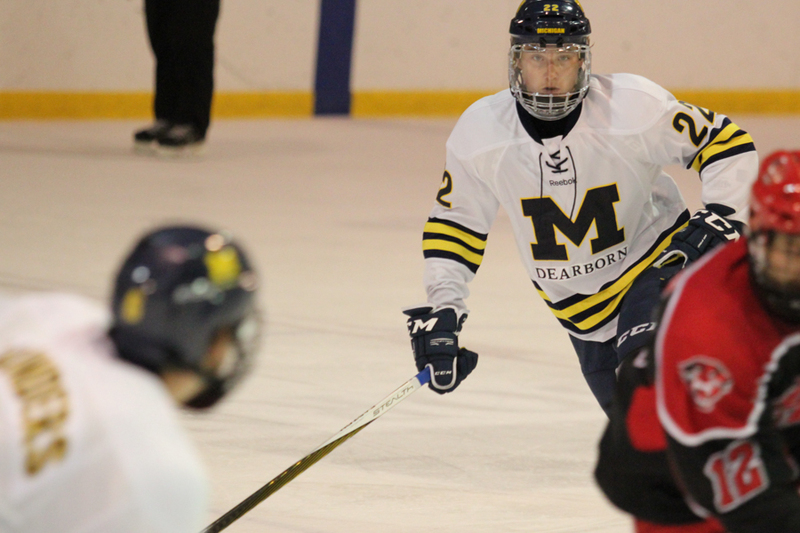 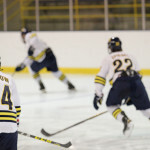 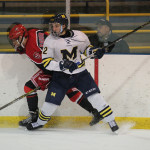 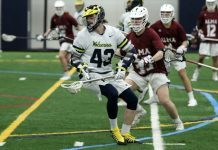 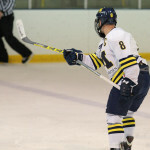 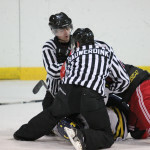 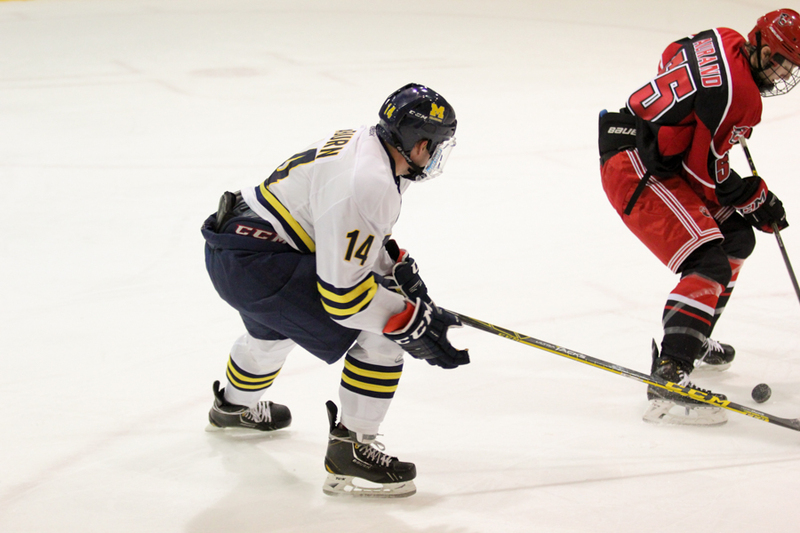 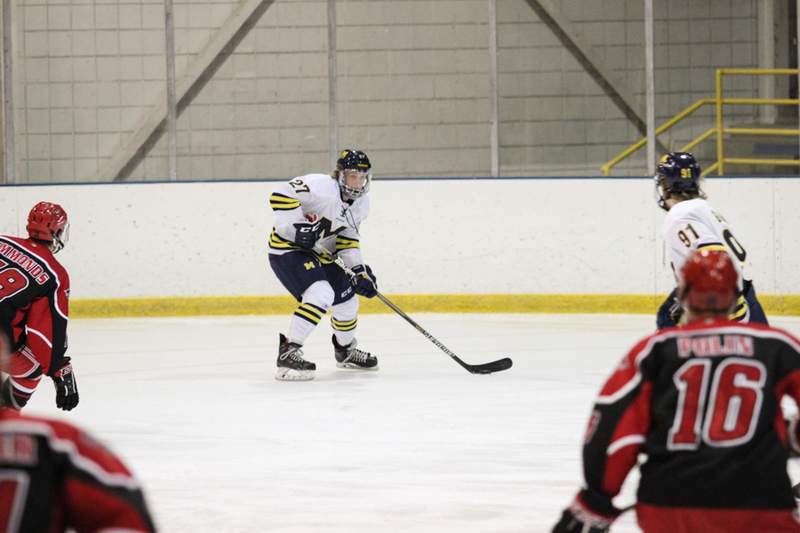 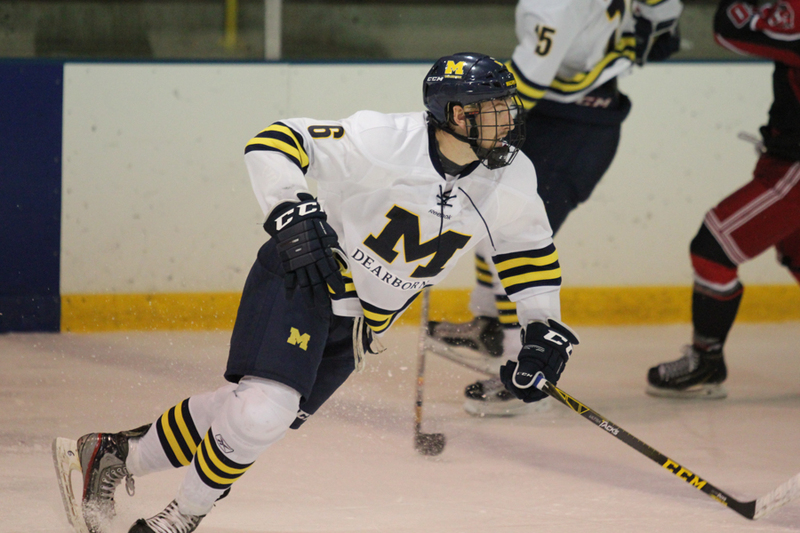 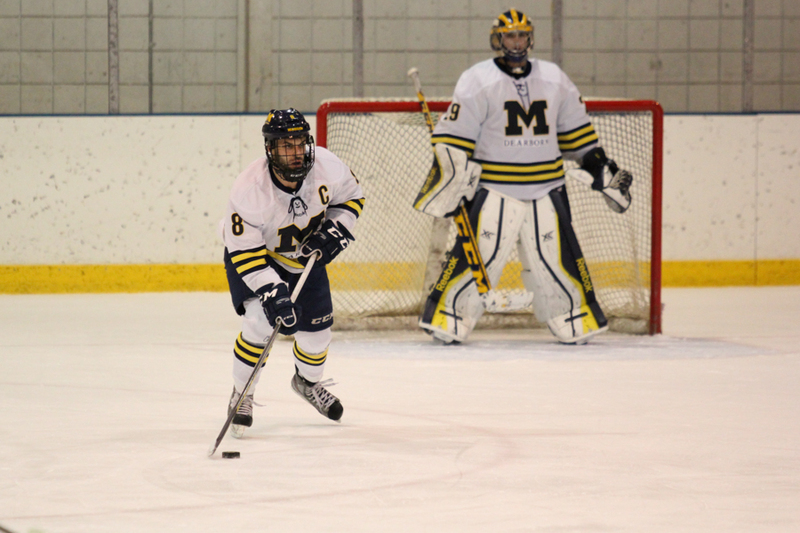 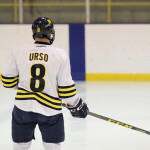 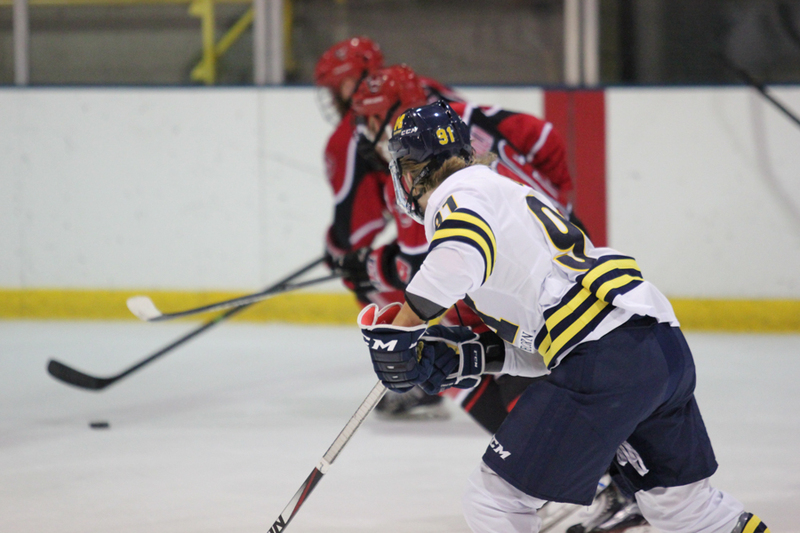 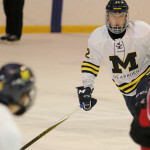 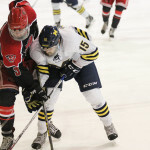 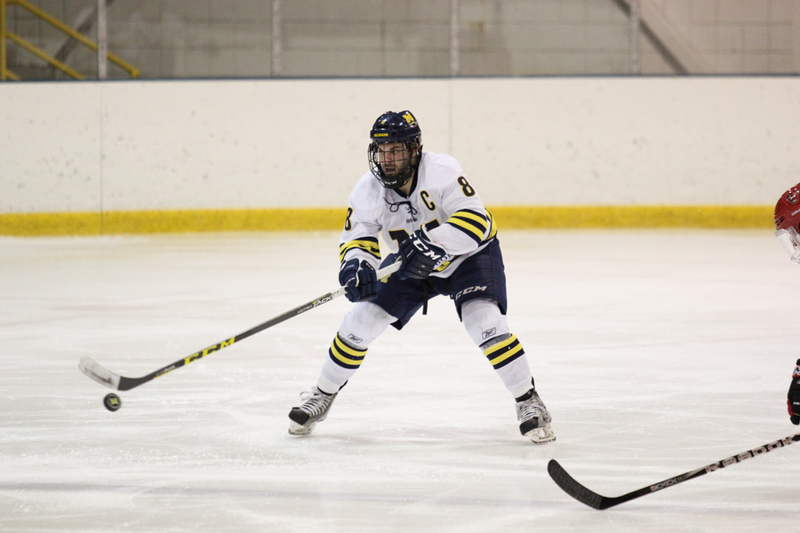 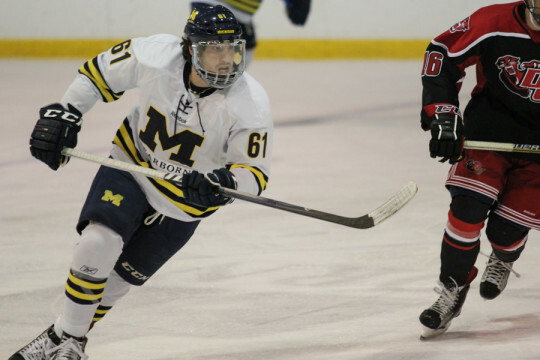 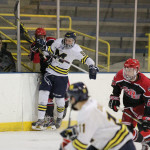 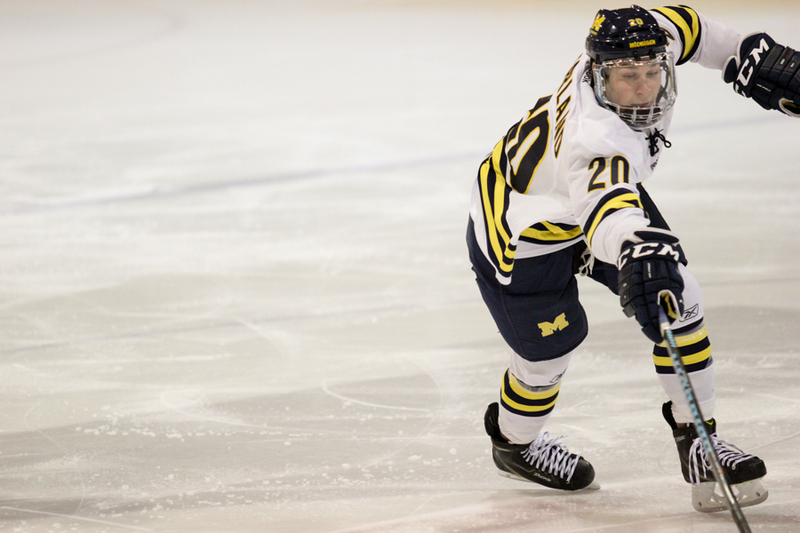 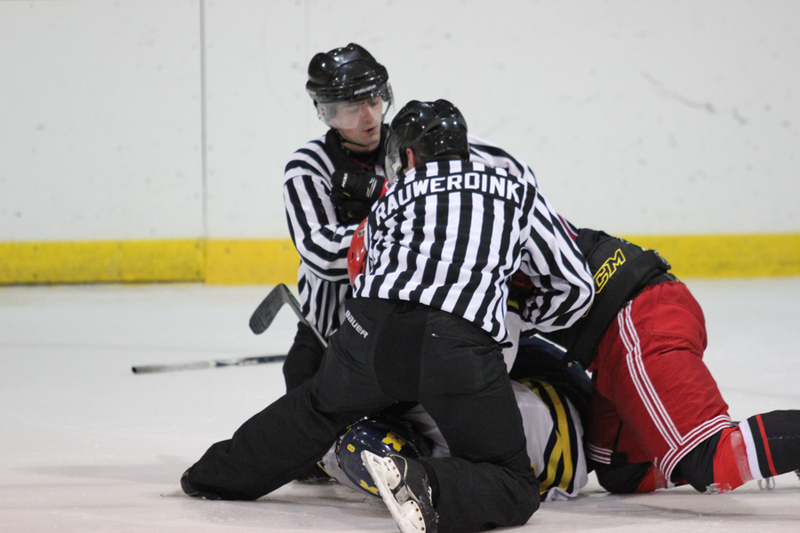 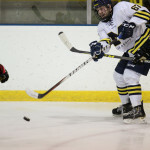 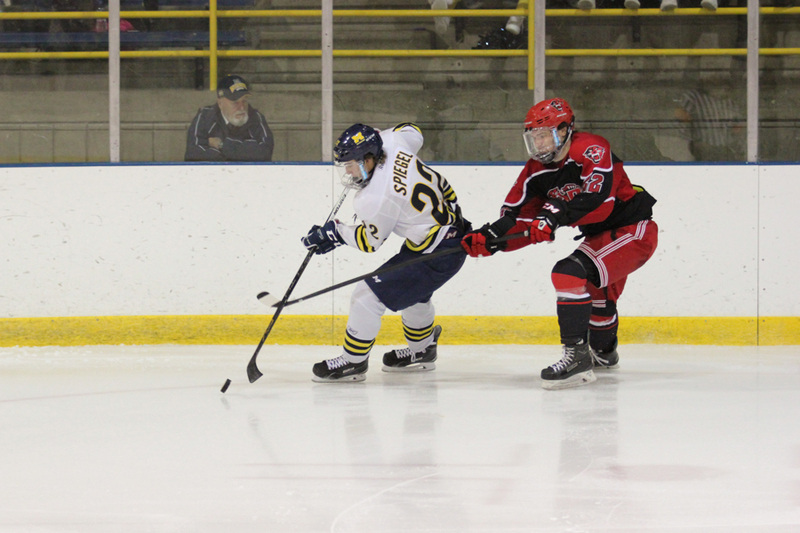 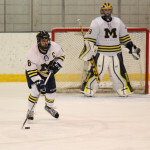 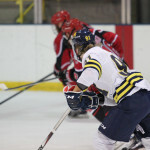 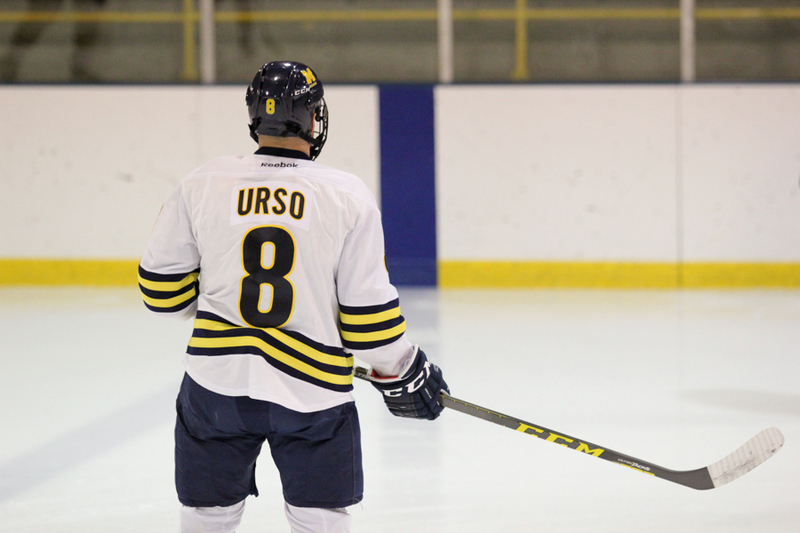 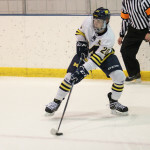 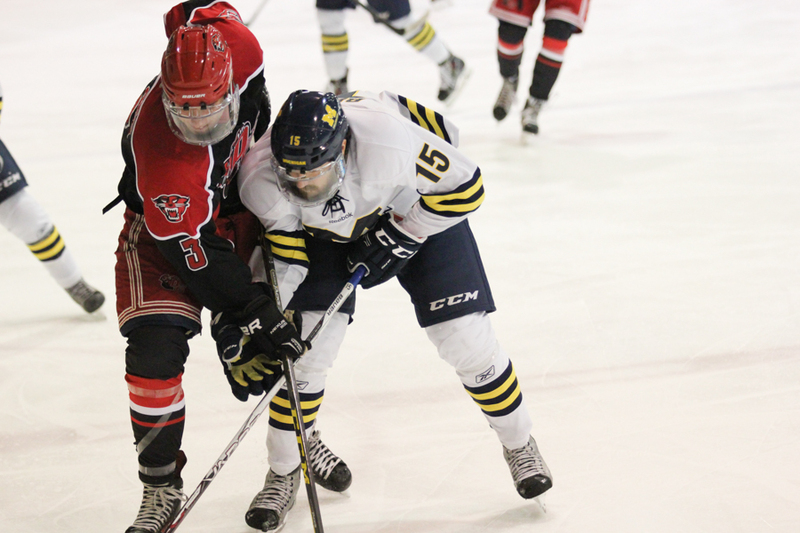 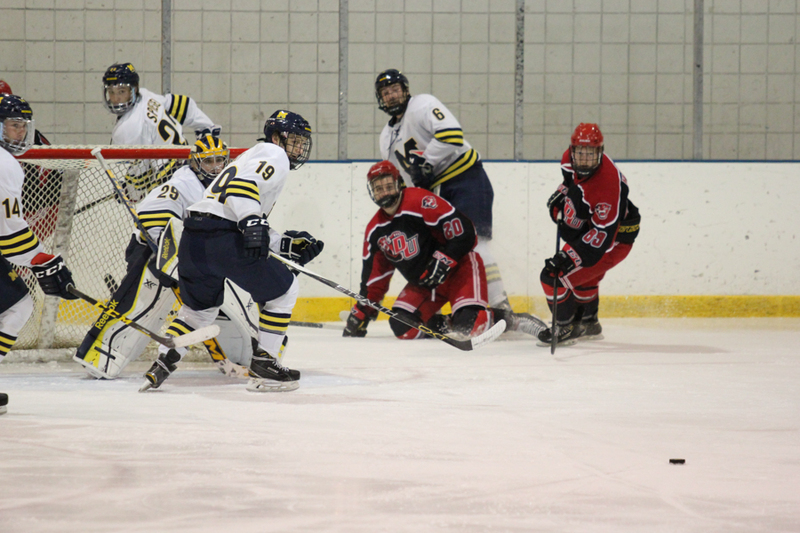 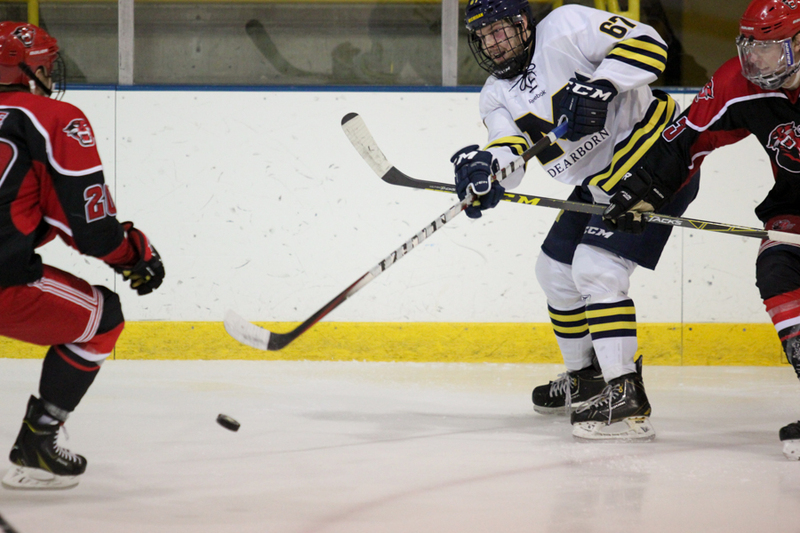 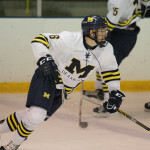 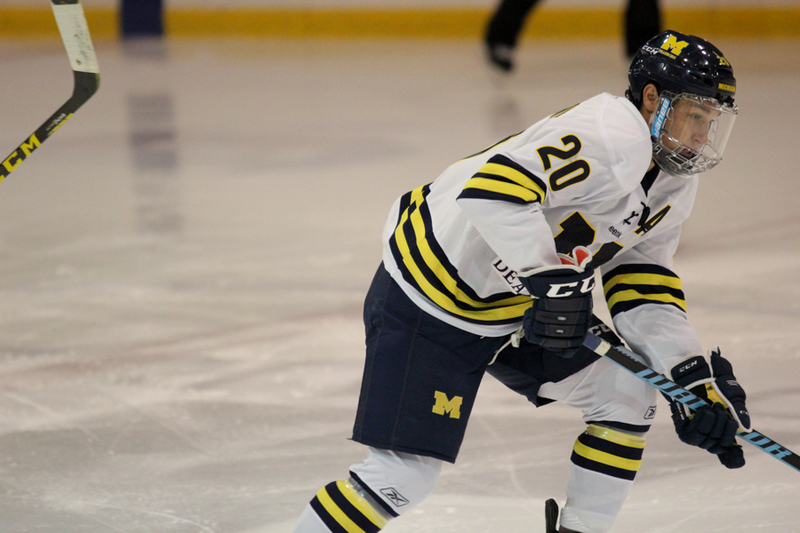 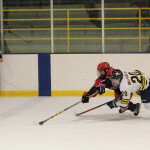 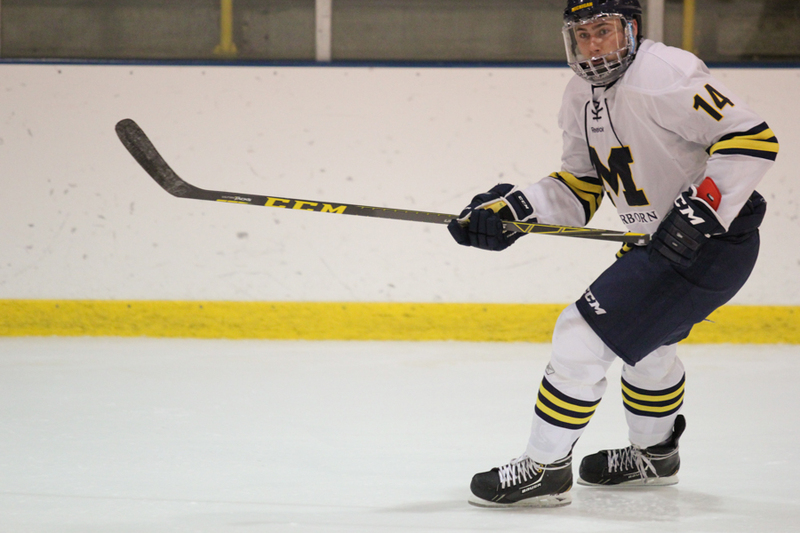 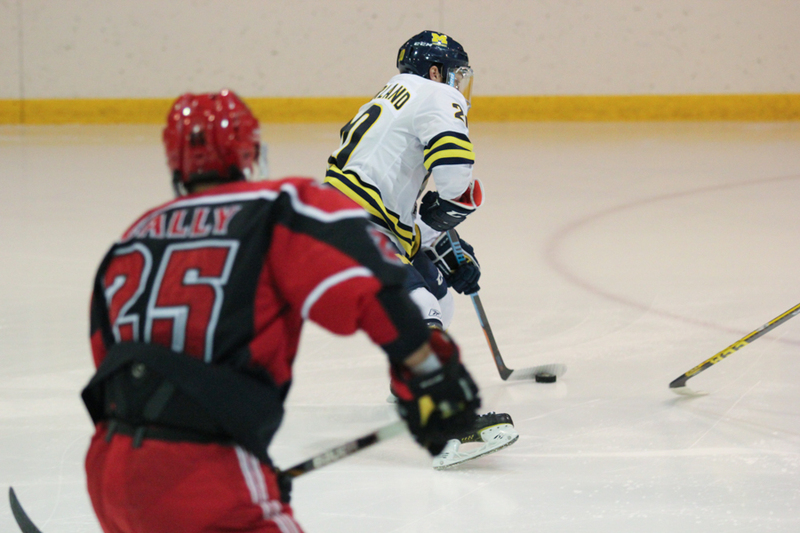 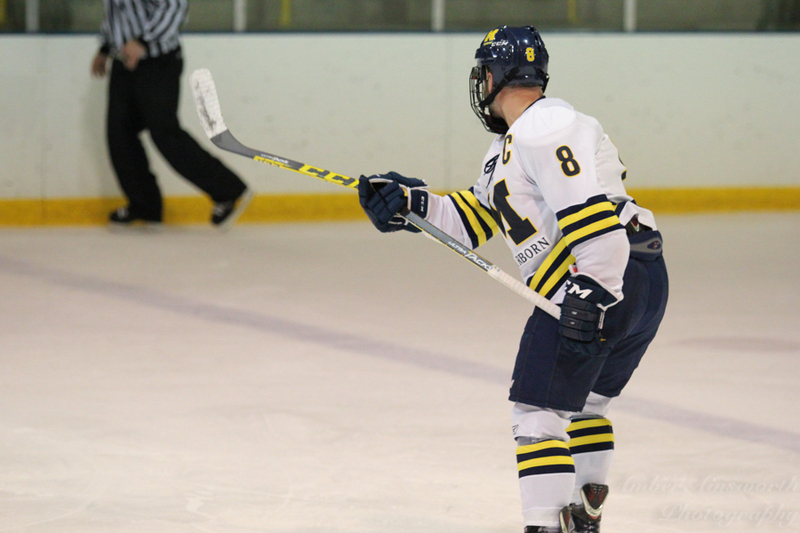 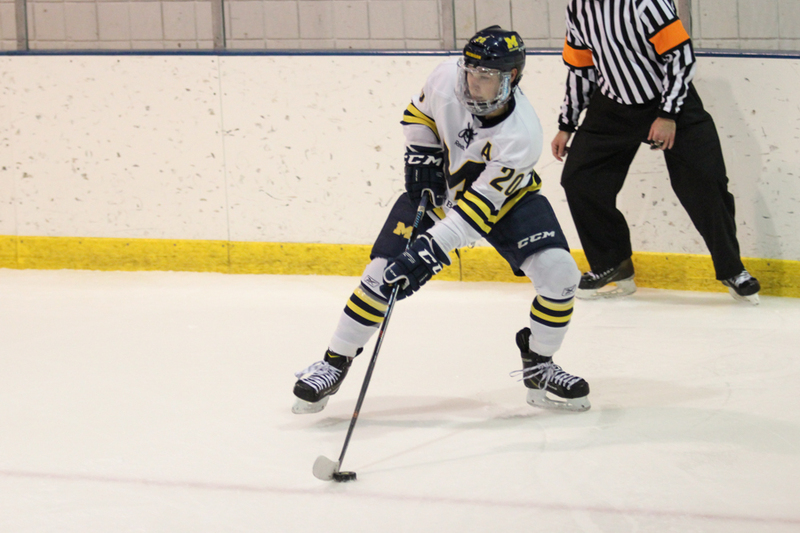 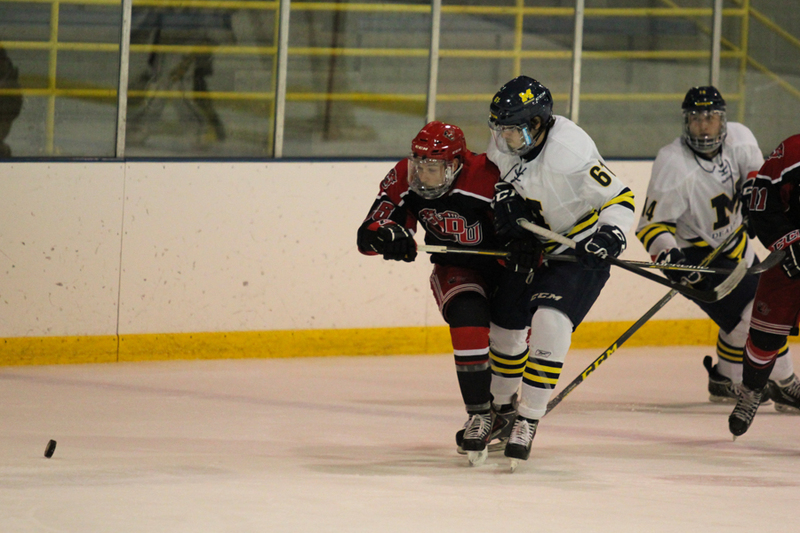 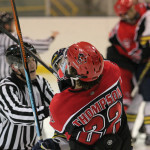 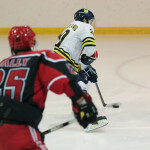 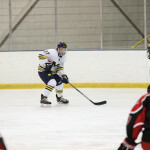 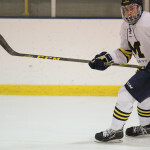 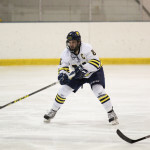 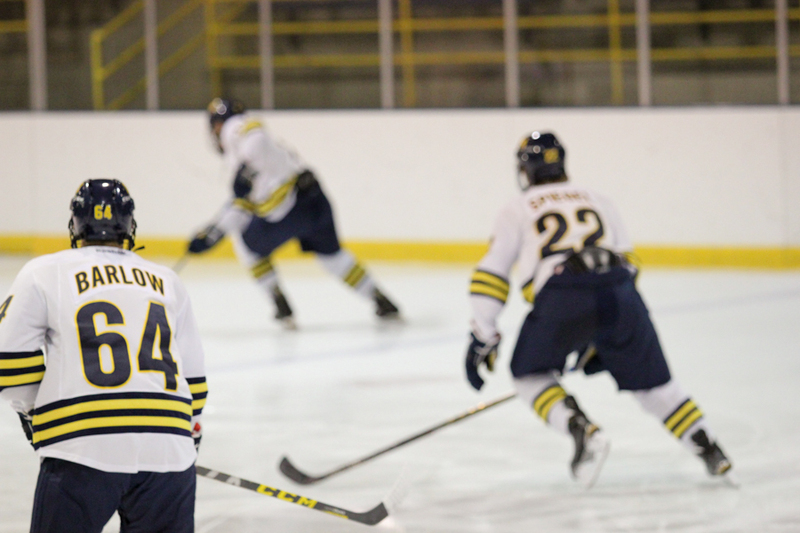 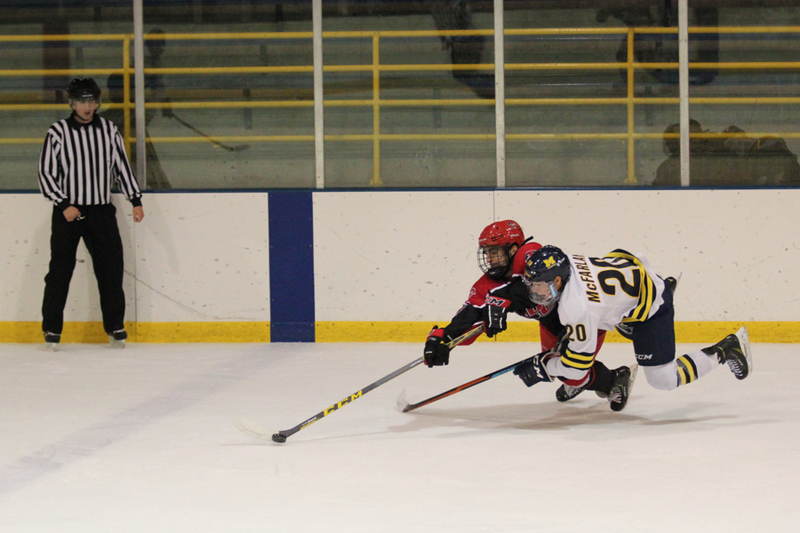 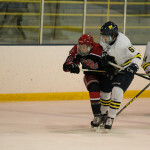 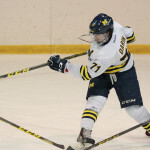 The University of Michigan-Dearborn hockey team lost 9-1 to Davenport University on Oct. 9 during its homecoming game. 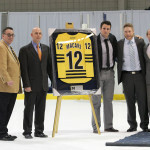 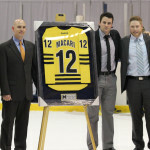 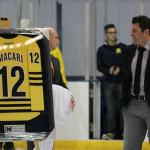 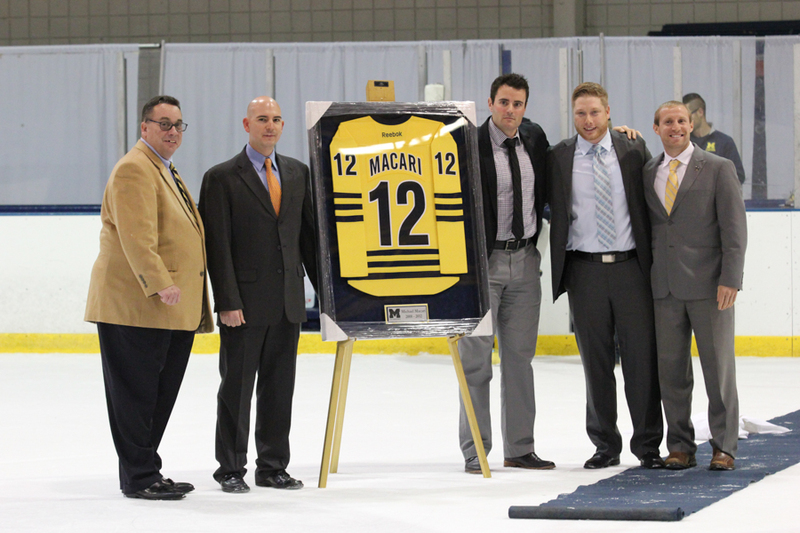 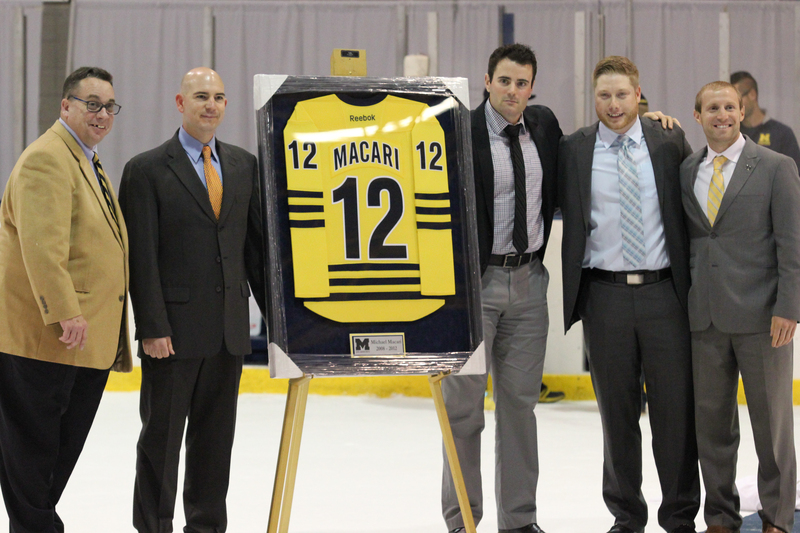 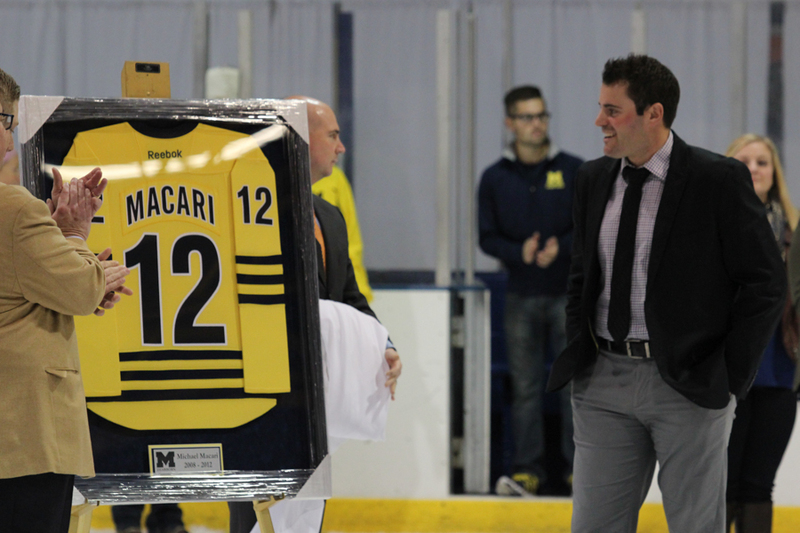 After the first intermission, UM-Dearborn honored former players Michael Macari and Jesse Hubemschmidt, retiring Macari’s #12, and hanging Hubenschmidt’s already-retired #25. 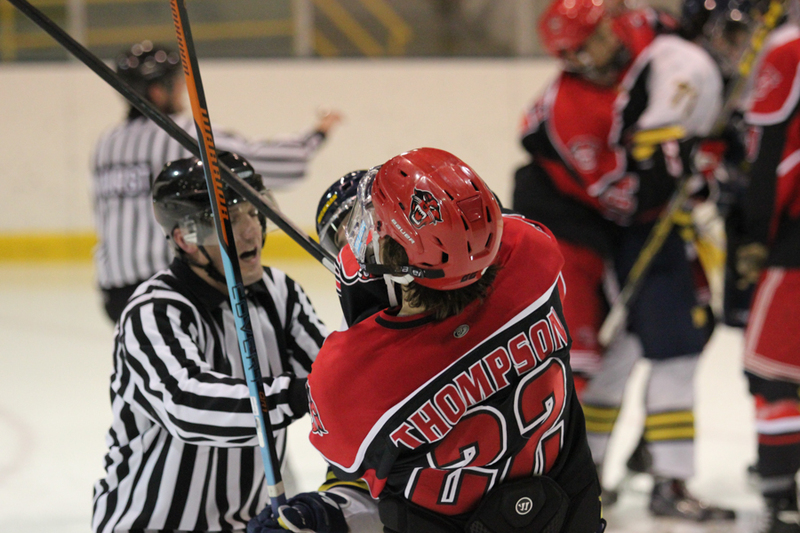 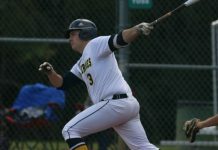 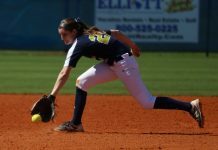 Below is a photo gallery compiled by A&E Editor Amber Ainsworth.